The Dallas, Garland & Northeastern Railroad (reporting marks, DGNO) is a shortline operation based out of Garland, Texas and for many years was part of the RailAmerica family of shortlines but is now owned by Genesee & Wyoming. The railroad was started in the early 1990s and today operates well over 300 miles of trackage through lease and outright ownership. Along with the property it owns directly the shortline also leases lines from Dallas Area Rapid Transit (DART) and Union Pacific. 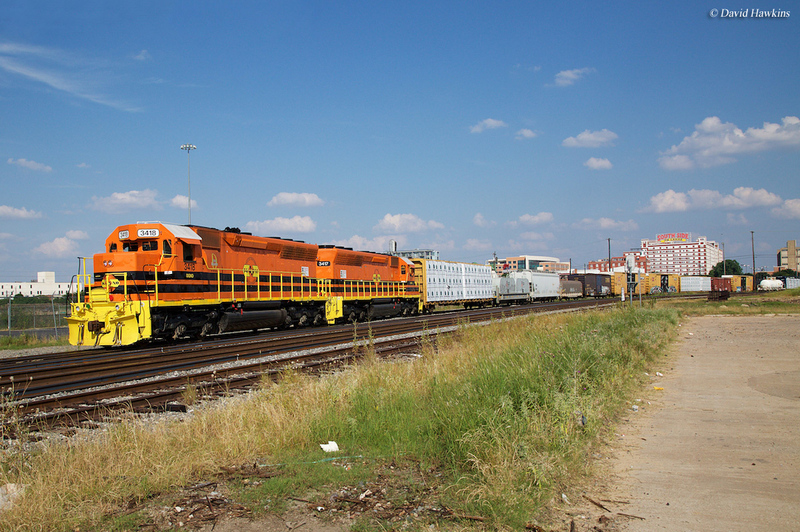 Overall, the shortline's area of operations includes both the Dallas area as well lines located to the northeast giving it connections to both two shortlines (the Texas Northeastern Railroad and the Kiamichi Railroad, both of which are also G&W-owned properties) and three Class Is (BNSF Railway, Union Pacific, and Kansas City Southern). The history of much of the trackage the Dallas, Garland and Northeastern Railroad operates was originally owned by the Missouri-Kansas-Texas system, better known as the Katy. This classic line had a history dating back to the Union Pacific Railway of 1865. Over the succeeding years the railroad grew and acquired smaller railroads eventually creating a system that stretched from Kansas City and St. Louis to Dallas, Fort Worth, San Antonio, and Houston/Galveston (the railroad had hopes of reaching as far north as Chicago but financial issues prevented such an extension). The railroad rolled on as an independent Class I until petitioning the Union Pacific to be included into its system, which was granted in 1988. After the 1988 takeover the UP began abandoning or selling off redundant sections of the Katy. One of these sales occurred in 1992 when the Dallas, Garland and Northeastern Railroad was created to operate the former MKT line between Garland, Greenville, and Trenton. It also gained another section of Katy trackage between McKinney and Sherman. 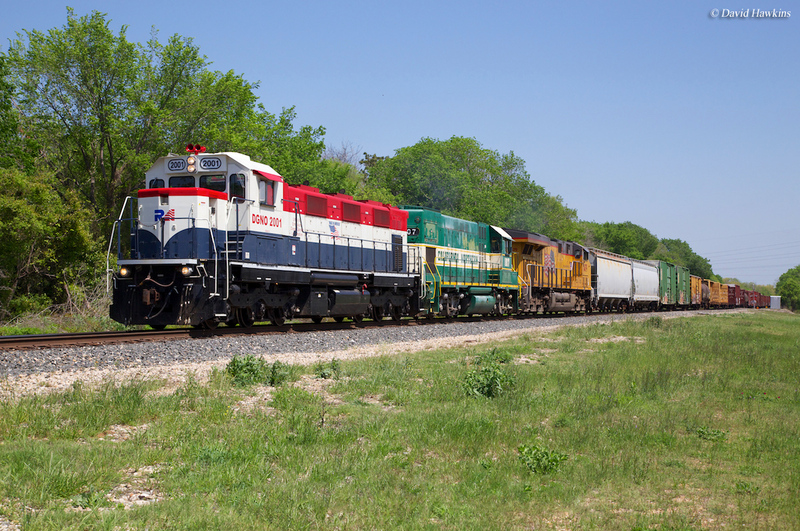 Soon after the shortline was also granted exclusive rights to operate freight service over the DART lines between Dallas, Plano, and Lake Dallas (which it continues to operate even today). In 2000 the DGNO was purchased by RailAmerica, Inc. adding to the companies then expanding portfolio of shortline systems. 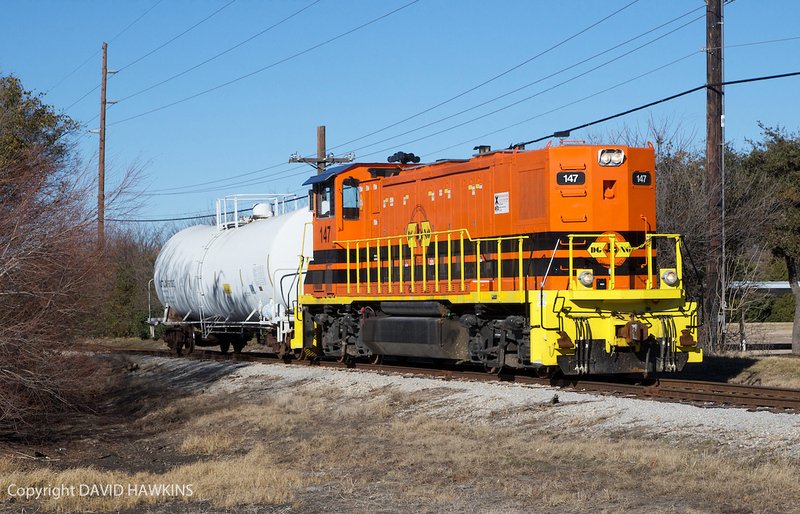 The Dallas-area shortline proved to be an excellent investment as the railroad has a traffic base in a number of commodities ranging from lumber and paper to food products, auto parts, military contracts, plastics, and chemicals. Overall this accounts for over 60,000 carloads of traffic annually, and still growing (if the railroad continues to grow it may eventually be redesignated as a Class II, regional). In total the DGNO operates 337 miles of track, including trackage rights over UP, BNSF, and Kansas City Southern mostly located around the Dallas region. 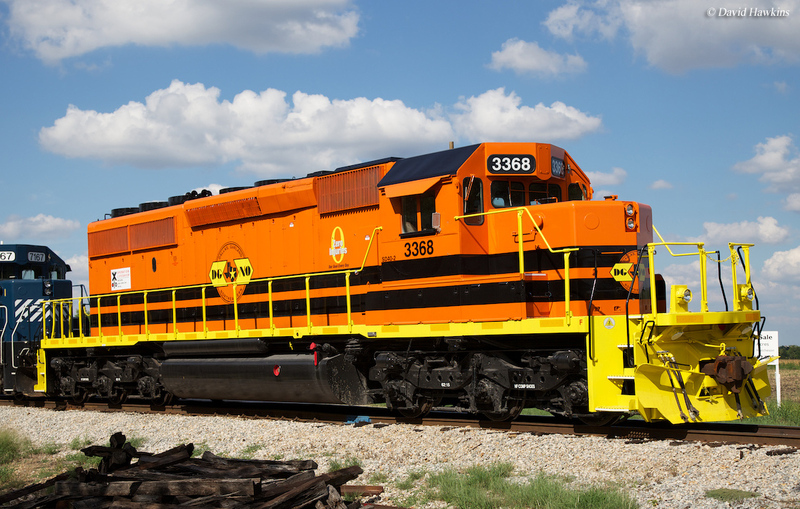 In the summer of 2012 it was announced that RailAmerica was being sold to Genesee & Wyoming so expect orange paint to begin showing up on the DGNO. While the page gives a brief overview of the railroad and full contact information it also includes a full-sized map showing connecting railroads and trackage rights. The DGNO's own roster currently consists of Geeps and a few six-axle Special Duty (SD) models although it does use several leased units and those from sister roads. Also, please note that the few photos of the shortline featured here are dated, back in the 1990s. 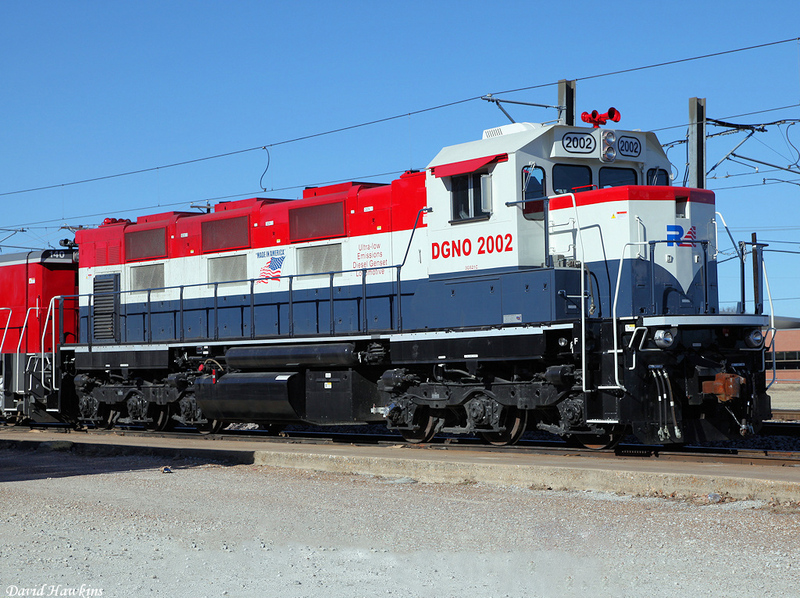 Today, most of the railroad's fleet has been repainted into red, white, and blue RailAmerica colors with DGNO sublettering. Finally, the above roster includes only DGNO-lettered equipment as RailAmerica also uses motive power from a number of its other shortlines on the DGNO (this presumably will also continue under Genesee & Wyoming, which has also been known to swap power between lines).